We supply premium grade of Multimedia Elevator LCD display using latest technology. 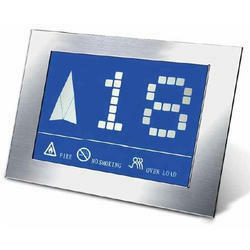 Our comprehensive range of Multimedia Elevator LCD display is useful for various applications such as in personal uses and also in commercial uses. Our range of Multimedia Elevator LCD display comprises from 7" to 19"
Multimedia Elevator Display we supply from 7" to 19". All our multimedia elevator display can support any of the elevator control board directly. Our multimedia elevator display can show both video and also still photo, scrolling advertisement. We supply customized lift Elevator Display that use advance technology in the manufacturing process. We offer LCD panels are available at low tooling charge and low minimum order quantity. Looking for Multimedia Elevator LCD display ?